Comharchumann Raidió Átha Cliath Teoranta (C.R.Á.C.T.) is a community co-operative society which was established on 4 July 1989 as a non-profit organisation with the view to providing a radio service to the Irish-speaking community of the Greater Dublin Area. A Board of Directors, elected at the organisation’s AGM every year, directs the co-operative during the year on behalf of the community of interest in conjunction with the Station Manager. Board members give of their time freely and on a voluntary basis. Members of the Board are representative of the geographic community of interest which we serve, between ordinary members of the community with an interest in the Irish language, members of voluntary Irish Language organisations, experienced broadcasters, various professions, business people etc. The Board is made up of various members of the community – people who come from different backgrounds, who all have a particular interest in Irish. These different members bring specialist knowledge, skills and expertise in various fields to the Board. Shareholders elect the representatives at the co-op’s AGM. It is also permissible under the rules to co-opt members onto the Board throughout the course of the year, especially when specialised experience or skills are sought/required or when appropriate candidates are identified to fill gaps in the Board’s membership. Cuan is a musician and historian who works with Conradh na Gaeilge. Born in Dublin, he spent over ten years in Germany studying and playing music. He broadcasts regularly on Raidió na Life, and has been a member of the Board since 2016. A journalist, writer and radio broadcaster for over 55 years, PT is an experienced business executive; company director; media lecturer and researcher. A member of Conradh na Gaeilge from 1955 to date, he was President of the Conradh from 1998 – 2003. He spent various periods on the Board of Comhdháil Náisiúnta na Gaeilge from 1975 and was President of the Comhdháil from 2004 – 2010. A founding member of Gaelscoileanna Teo, he spent a period as that organisation’s National Secretary. 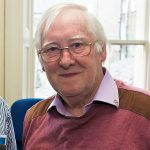 He was also one of the founders of Scoil Neasáin and worked as the school’s Voluntary Manager from 1970 – 1974. He spent 25 years on the Board of Directors of Lorient Interceltique Festival, which he was also the Irish Head of. He has been a member and broadcaster with Raidió na Life from the beginning and has spent over ten years on the Board of Directors. 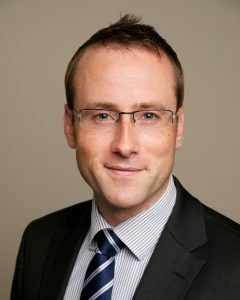 Stephen is a barrister from Dublin, who deals mostly with commercial, company and employment law. He has a degree and doctorate in history from Trinity College Dublin and is very interested in literature, politics and sport. He has been a member of the Board since late 2018. 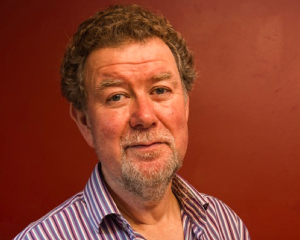 Cathal Póirtéir won a number of awards during the 30 years for his work as a broadcaster and producer with RTÉ before he returned to work as a freelance writer and producer. He has published books and CDs in English and Irish on history, folklore and literature. He was founding chair of Aontas na Scríbhneoirí Gaeilge, and serves on the committees of several cultural bodies. He has also written a number of radio and stage plays, television scripts for Ros na Rún on TG4 and is currently involved in writing a novella and an historical novel. Sinéad Ní Uallacháin hails from Baile an Éanaigh in West Kerry. 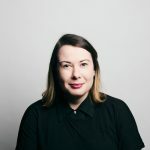 She works as a broadcaster with RTÉ Raidió na Gaetlachta, presenting the weekday music show, Sinéad ar Maidin, as well as working on the station’s drivetime current affairs programme Cormac ag a Cúig. She is actively involved in the world of theatre, primarily as an actor, and has worked with many drama groups, mainly Aisteoirí Bulfin. 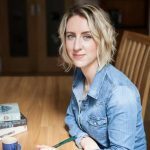 She’s interested in art and has provided illustrations for books published by Fighting Words, Hope Guatemala, An Gúm, LeabhairCOMHAR and Coiscéim. She regularly contributes to the online magazine Nós. Siún Ní Dhuinn hails originally from Dundalk and has been living in Dublin for almost fifteen years. She spent much time working in the education sector and she established her own website, As an Nua in 2016. She currently works with RTÉ as Irish Language Digital Co-Ordinator. 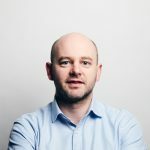 Déaglán is a solicitor working in the aviation leasing industry for over ten years. 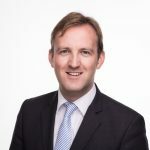 Déaglán has a wide range of experience in amongst other areas: commercial contracts, settlements of disputes, company and employment law. He has a BSc. In Finance, Computer Studies and Enterprise from FIONTAR, DCU. A former presenter with Raidió na Life, having presented the current affairs and politics show ‘Tuairisc’ on the station for a time, he has served on the Board for several years. Bláithín hails from Wadelai, in Dublin. She has spent many years teaching Irish and English and loves travelling, reading, and writing as well as watching box-sets and walking (pondering as she goes). She is a member of the Irish-speaking walking group Na Cnocadóirí. She has been involved with Raidió na Life at various stages almost from its inception and has spent periods both as a volunteer presenter and as a member of the Board.